In Summit County, Ohio is a hidden gem of a city. Stow, a beautiful city with a population of 35,000, has charmed tourists with its old-fashioned architecture and numerous parks and recreation areas. The 45-square kilometer city has a humid continental climate, so all properties are always ready to face several occasional storms yearly despite its sunny and chilly temperature. Stow entrusts its roofing repairs and installation only to excellent contractors. 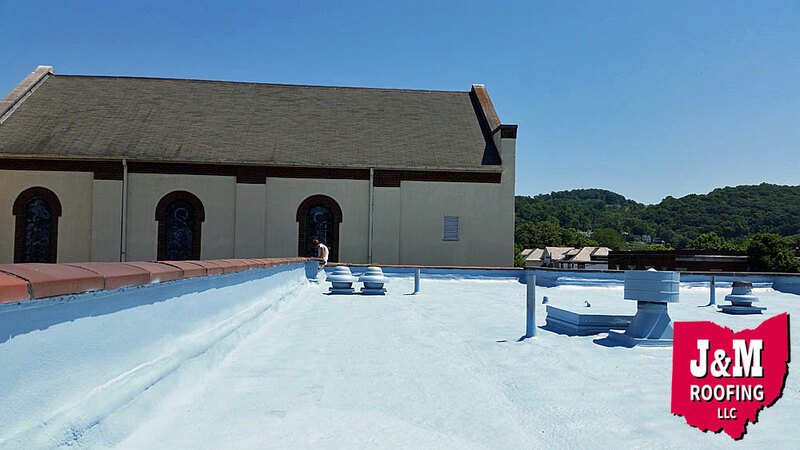 J&M Roofing LLC is the go-to commercial roofing Stow contractor property owners trust. With years of experience, superior equipment and materials for repair and restoration, and affordable service, we can handle any roofing situation and deliver efficient results. 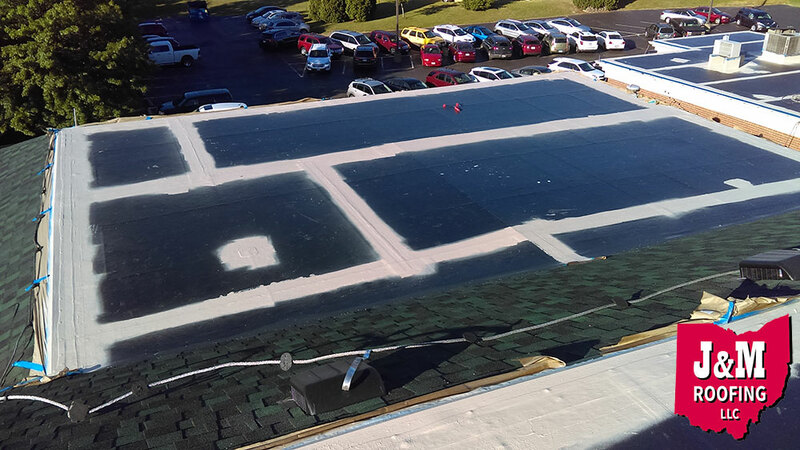 Our professionals are trained and experienced in using Conklin’s top-quality Fabric Reinforced Roofing coating, a liquid membrane with the strength of a single-ply EPDM or modified bitumen roof. 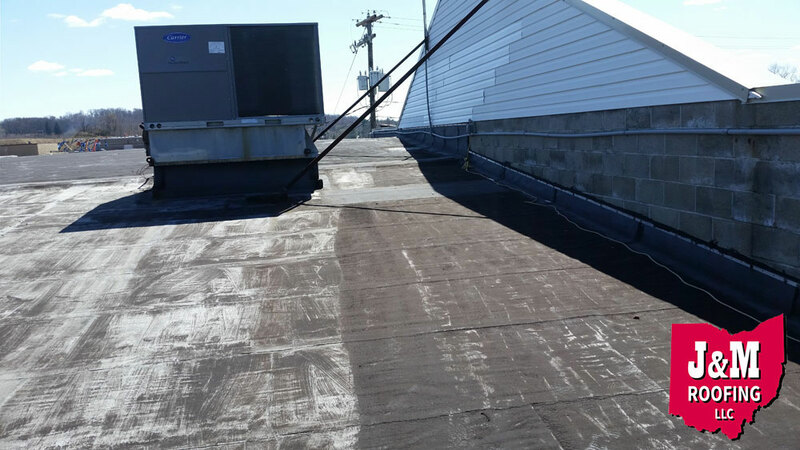 Our experienced teams provide complete services for flat and low-slope commercial roofing Stow properties need in the quickest and effective way possible. 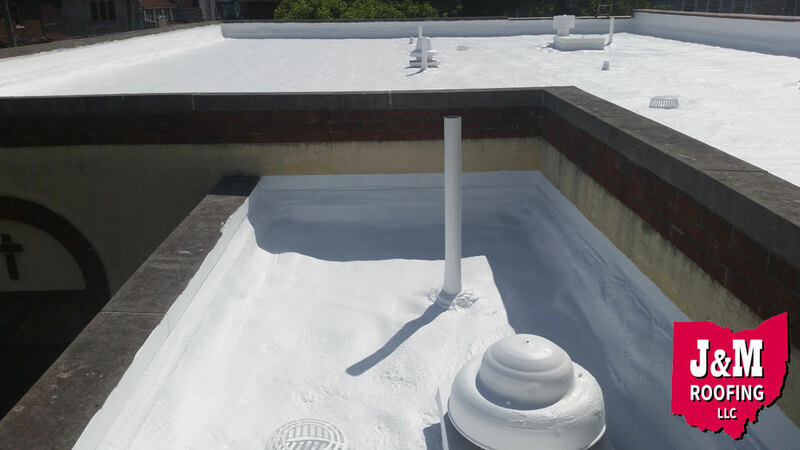 We handle EPDM roofing installation with utmost care and attention to detail to maximize the potential of the affordable and sturdy roofing material. Ensuring the sturdiest roofing material delivers its best requires excellent installation. Our experienced professionals have in-depth experience in the repair, restoration, and installation of metal roofs. J&M Roofing LLC is a member of the Spray Polyurethane Foam Alliance (SPFA). We only use top-of-the-line Conklin spray urethane foam and caulks to deal with any leaks and protect it from further damage. Big brands such as Marriott Hotels and Six Flags recognize Conklin Roofing Systems as superior commercial property materials. This top-level manufacturer has provided extensive training to our professionals in efficiently handling its sealants, caulks, coating, and other products for all projects. We recognize each roofing situation differs from one another. We take extra care in inspecting, advising repair processes, and handling projects for every commercial property Stow project. Serving Northeastern Ohio, Northern West Virginia, and Western Pennsylvania. NORTHEASTERN OHIO: Akron Alliance, Aurora, Barberton, Barnesville, Brookfield Township, Canfield, Canton, Columbiana, Cuyahoga Falls, Dover, East Canton, East Liverpool, Fresno, Girard, Hartville, Hudson, Kent, Louisville, Martins Ferry, Massillon, Millersburg, New Athens, New Castle, Niles, North Canton, North Lima, Ravenna, Rootstown, Salem, Sharon, Steubenville, Stow, Strasburg, Streetsboro, Tallmadge, Tiltonsville, Uniontown, Wadsworth, Walnut Creek, Warren, Youngstown and surrounding areas! We are writing to let you know how pleased we are with the work you did last summer sealing the roofs of our two warehouses in Empire, OH. We are very impressed with the Conklin Roofing System, and the professional way you and your crew applied the product. The work was executed on time, and completed as promised. The workplace was kept neat, and cleaned at the end of each workday. We would definately recommend you, your product and service to anyone looking to have their metal roof coated.